Guys, I don’t know how to say this without sounding pushy. 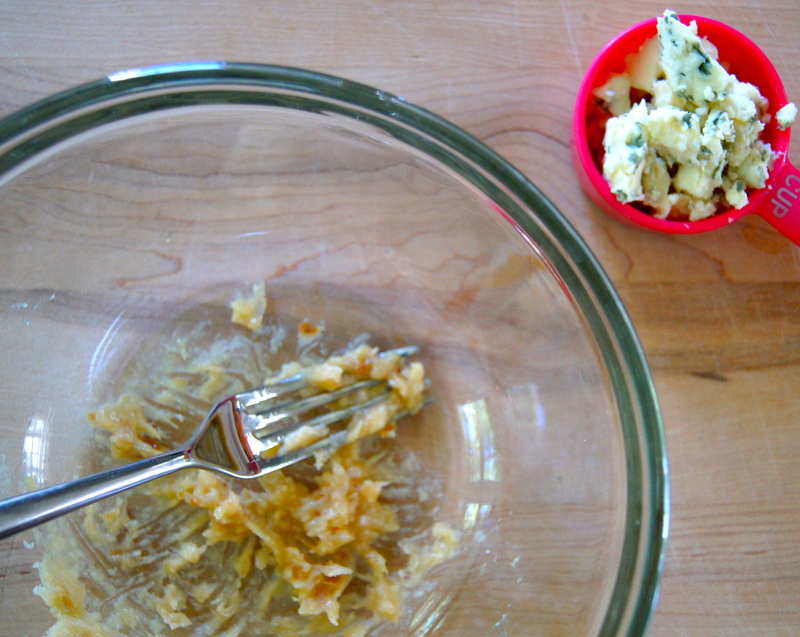 But if you do not go to your kitchen and make this roasted garlic and bleu cheese butter bad things could happen. Lighting may strike. 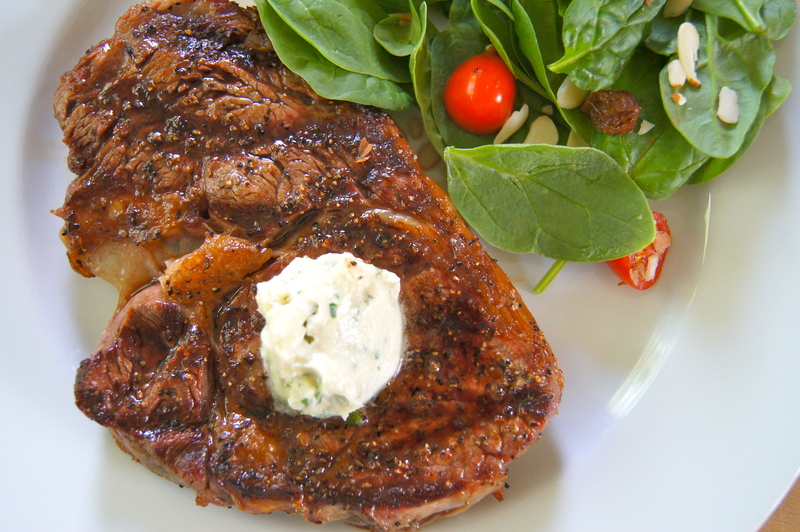 Steaks may boycott your grill. Steamed broccoli will not feel welcomed in your home anymore. Baked potatoes? Forget about it…they are totally breaking up with you…or they may shack up with corn on the cobb who will also feel bare and lonely. As for our relationship? You and I? I feel like counseling may need to be implemented. Please, just do it. Make it. Put it on that steak. Dollop it on that broccoli or baked potato. Spread it on corn on the cobb. Good things happen to people who do good, right? This butter, right here? An astounding way to add flavor to just about anything with little to no work. Real food just does not get better than this. Have it on hand…it makes meal time a breeze. Preheat oven to 400. 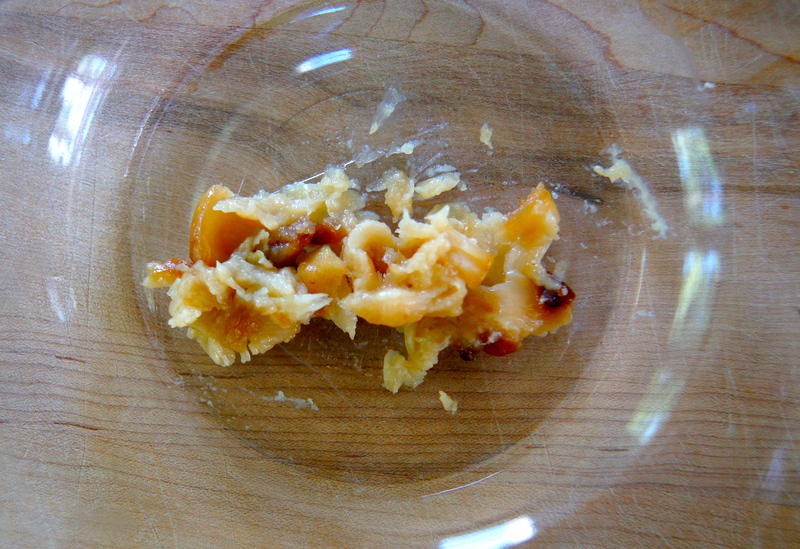 Cut the top quarter of the heads of garlic off so that the cloves are exposed. 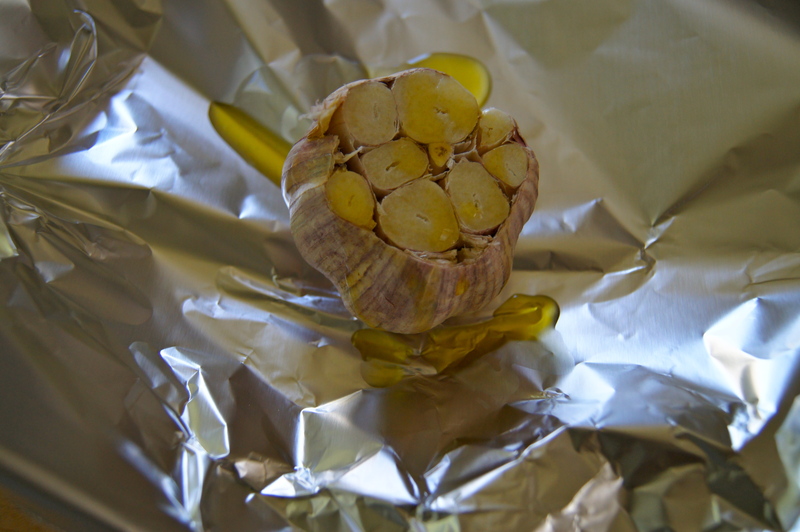 Place the garlic on a piece of foil and drizzle the olive oil over the tops. 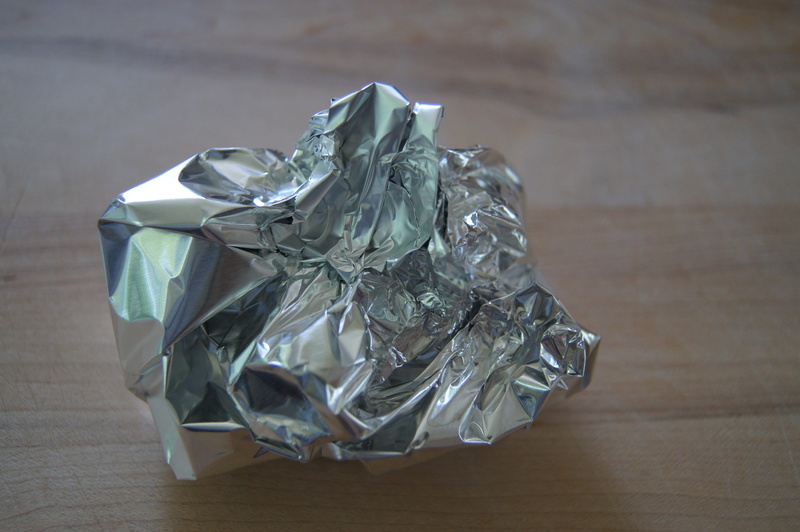 Wrap the foil up tightly and place in the preheated oven for 45 minutes. Remove and let cool slightly. 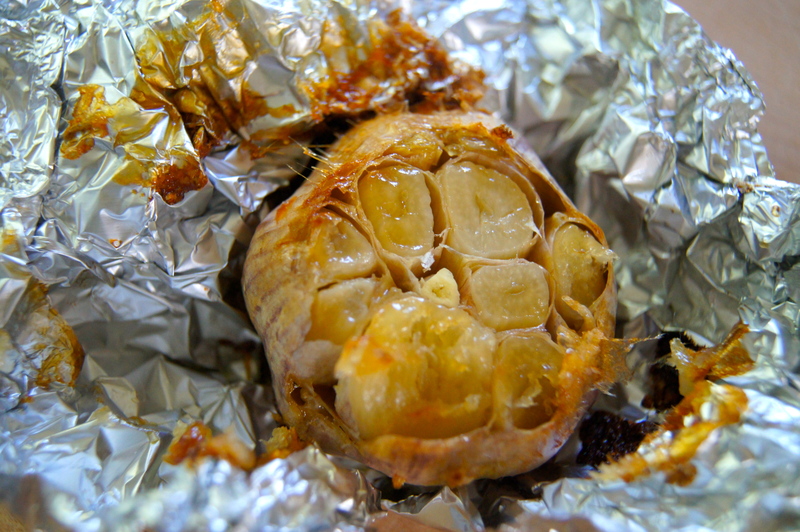 Squeeze the garlic cloves out of the skins into a small bowl and mash with a fork. 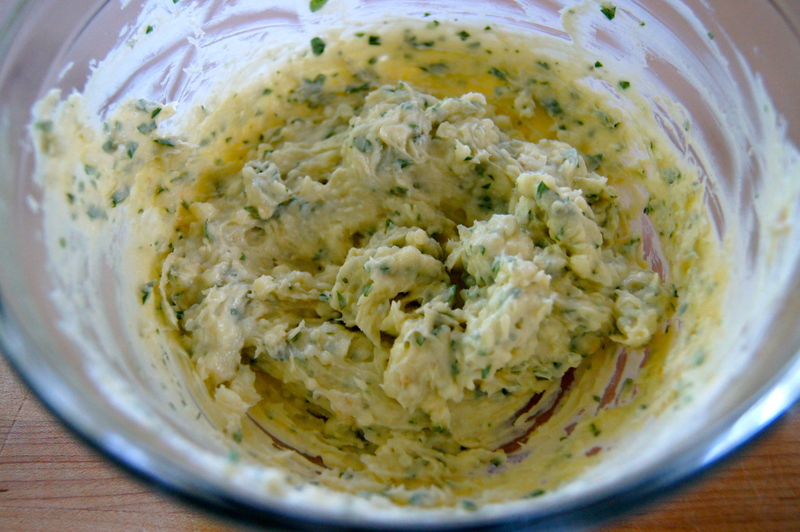 Add butter, bleu cheese, herbs and salt and mash with a fork until combined. Store in the fridge and serve on top of just about anything.